BROOMFIELD, Colo. — Virgin Galactic will carry out a dedicated research flight of its SpaceShipTwo suborbital spaceplane for the Italian space agency ASI, with an Italian payload specialist on board, under an agreement announced Dec. 18. Speaking at the Next-Generation Suborbital Researchers Conference here, George Whitesides, chief executive of Virgin Galactic, said the letter of intent with ASI covered a flight of SpaceShipTwo from Spaceport America in New Mexico in 2019. The agreement includes training of the Italian payload specialist who would fly on the mission. “I think this is an important example of a government space agency contracting with a commercial space company to conduct human-tended suborbital research,” he said. ASI is the second space agency to buy a SpaceShipTwo research flight. 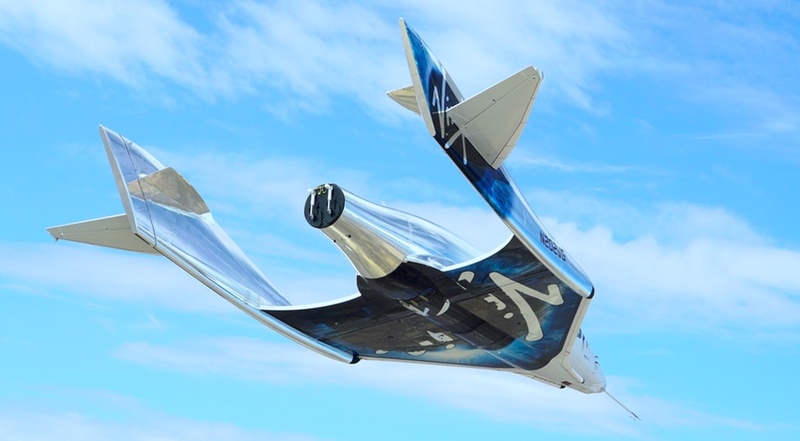 NASA, through its Flight Opportunities program for suborbital research, contracted with Virgin Galactic several years ago for a dedicated SpaceShipTwo flight to perform experiments, although that flight has yet to take place given the vehicle’s extended development. Whitesides said the research ASI will perform on the flight is linked to Space Rider, a reusable spaceplane that the European Space Agency is developing. Payloads can be flown on SpaceShipTwo suborbitally, he said, before later orbital missions on Space Rider or on the International Space Station. “The exciting thing here is proving out that idea that this can be one step on an integrated chain of research platforms that enable scientists and technologists to build up capabilities in stepwise fashion that reduces risk and cost and increases the speed of iteration,” he said. Whitesides did not provide many details on the development of SpaceShipTwo itself. The second SpaceShipTwo, named VSS Unity, is still in the glide flight phase of its test program, although its last flight was more than four months ago, on Aug. 4. Whitesides said that the company was still planning to carry out one more glide flight before beginning the powered flights, where SpaceShipTwo will ignite its hybrid rocket motor. He said the powered flight program will have many “test points” to go through incrementally as the vehicle first makes it to space on those flights, and then to “refine the various aspects of the customer experience” such as evaluating the interior of the vehicle. Beyond the fact that the powered test flights will take place in 2018, Whitesides did not give specific schedules for the vehicle. “The team is making really good progress, and we’re excited to get into that in the future,” he said of the upcoming powered test flight campaign. Whitesides also had little to add about a planned billion-dollar investment into Virgin’s group of space companies by a Saudi Arabian fund. The Public Investment Fund (PIF) of Saudi Arabia said Oct. 26 it will invest $1 billion into Virgin Galactic, Virgin Orbit and The Spaceship Company, with an option for an additional $480 million. The agreement, at that time, was still in the form of a non-binding memorandum of understanding.